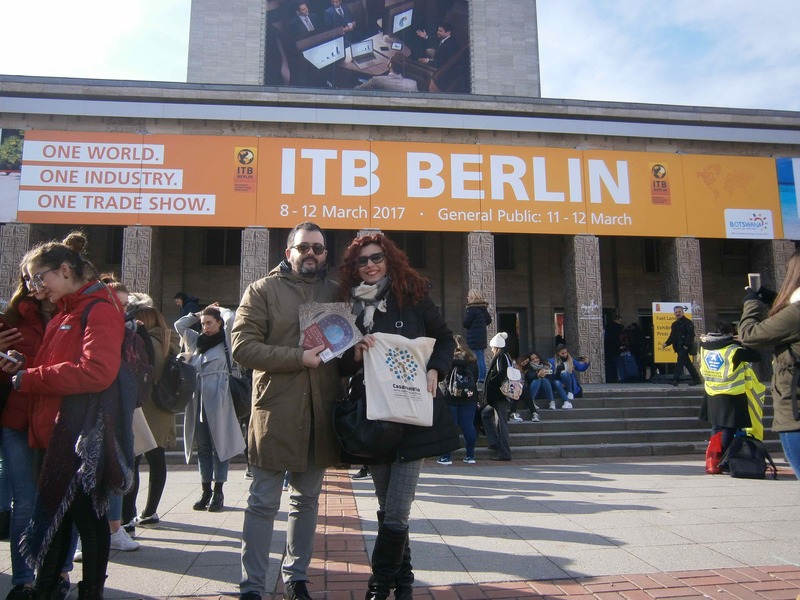 The world’s most famous international tourism fair, better known as ITB (Internationale Tourismus Börse) was held in Berlin between 8 and 12 March. 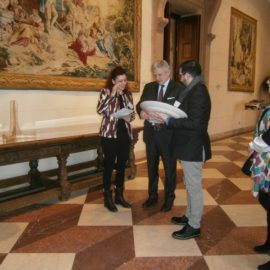 The first three days were dedicated to negotiations, while on 11 and 12 March the fair was open to the public. 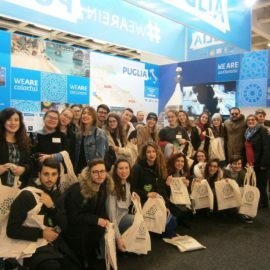 On 12 March the Association ArcheoCasarano participated in the fair. ArcheoCasarano, together with the students of the classes 4 AL, 4BL and 4CL of the Linguistic High School “G.C. 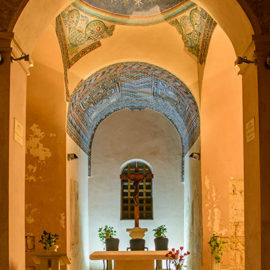 Vanini”, sponsored the Church of Santa Maria della Croce. 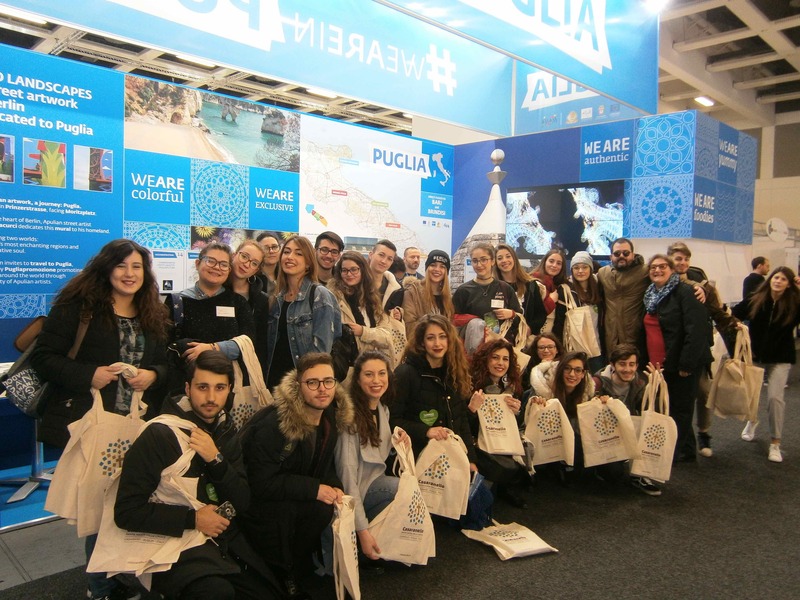 They were hosted by the Regione Puglia, which held a stand in the Italian pavilion of the ITB Berlin. 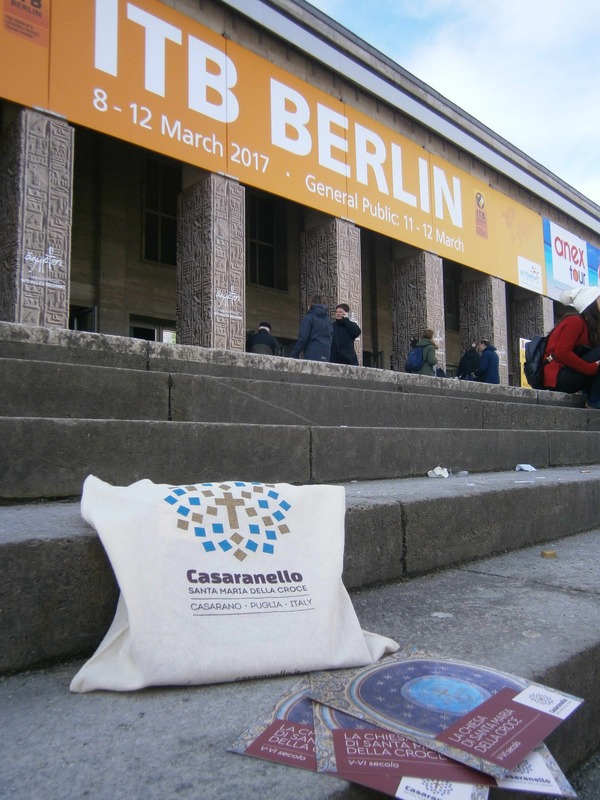 Numerous visitors showed great interest in the project and they were presented with canvas shopping bags sponsoring the project “Touch Casaranello”, together with a brochure about the church.